Brent Taylor, killed in Afghanistan, had fought to cut UTA exec perks. The new UTA board just erased them. (Leah Hogsten | The Salt Lake Tribune) North Ogden Mayor Brent Taylor, UTA's liaison for Weber and Box Elder Co., Brent Taylor, listens during a meeting in 2017. Brent Taylor — the North Ogden mayor killed in Afghanistan while on National Guard deployment — just posthumously won a battle with the Utah Transit Authority over generous executive benefits. Two years ago, the outspoken maverick was the only member of the old 16-member, part-time UTA Board to oppose changes in executive retirement benefits that he argued were far too lucrative compared with other government agencies. On Wednesday, a new three-member, full-time UTA Board formed by the Legislature to better oversee the scandal-tainted agency voted to eliminate those perks — echoing arguments that Taylor made earlier as a lone wolf. In the package that Taylor had opposed, top executives received a $7 match for every $3 they personally put into retirement funds. Other rank-and-file UTA employees received a $2 match for every $3 they save. Under changes approved Wednesday, all full-time UTA employees — including the top brass — now will receive the $2 for every $3 saved match, up to 2 percent of their salary. (courtesy of the North Ogden Discussion Facebook page) "God bless you all and see you on the flip side! 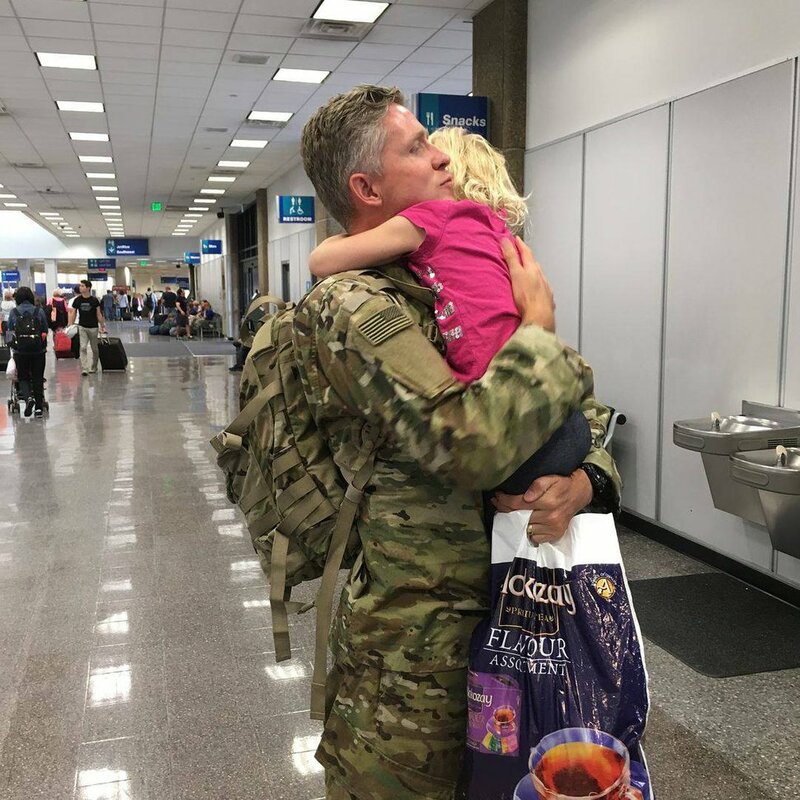 --Major Taylor" That's how North Ogden Mayor Brent Taylor signed off on a Facebook post that included this picture of him hugging a daughter at the end of his two-week leave in August 2018. He was killed in an insider attack in Afghanistan in November 2018. When implemented two years ago, the $7 for $3 match for top executives was actually a reduction from what they previously received. They had been given the maximum allowed by IRS rules — $24,000 annually for employees over age 50 and $18,000 for those who were younger. The change to a $7 match for every $3 saved capped at a maximum match of 7 percent of an executive’s pay. At the time, it was hailed by then-chiefs at UTA as a significant reduction that they said put the agency in line with industry standards. Other members of that board interrupted Taylor, challenged his assertions and all voted against him — even though state data showed overall compensation of top UTA executives was far higher than at other large transportation agencies in the state, including the Utah Department of Transportation and Salt Lake City International Airport. The action came after the new UTA Board last week also voted to restructure the agency and set new pay ranges for all of its jobs. It is part of a series of reforms after years of criticism for high pay at UTA. For example, total compensation of former UTA President and CEO Michael Allegra was $402,187 in 2013, including a $30,000 bonus and benefits. UTA subsequently ended bonuses, and new top execs were paid less when hired. 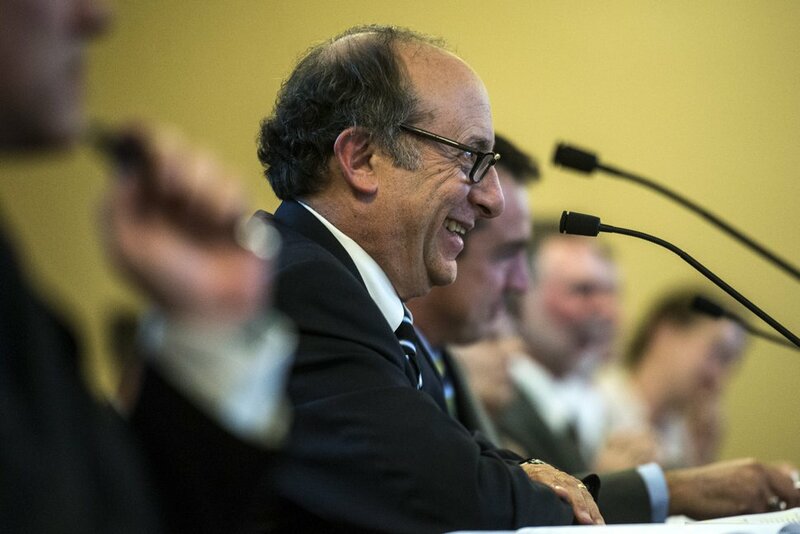 Chris Detrick | The Salt Lake Tribune UTA General Manager Mike Allegra speaks during a Audit Subcommittee of the Legislative Management Committee Tuesday August 26, 2014. New pay ranges adopted for other UTA employees last week don’t lower the salaries of any current executives — but limit raises. Over time, it also could allow dozens of UTA execs to be paid more than the $129,000 salary that new UTA Board members will now receive. Seven top administrators have a new salary range of $130,000 to $231,730 a year. Another 12 regional managers of various train and bus systems have a salary range of $117,752 to $202,814 a year. And 23 other top administrators — from the director of planning to the UTA police chief and the agency’s government relations director (or lobbyist) — have a range of $99,996 to $167,101 a year. A new volunteer UTA advisory board, appointed by cities and counties, set the salary of the three new UTA Board members Wednesday afternoon — a power not given to the three-member board itself. The full-time board members will receive a salary of $129,000 annually, or $21,000 lower than the $150,000 maximum allowed by the Legislature. Lindon Mayor Jeff Acerson, who heads the advisory board, said it is wise not to set salaries at the maximum now “to give room to grow and show appreciation” with possible future pay raises. A compensation study commissioned by UTA said jobs in Utah with the job skiils and requirements of new board members pay an average of $178,000 a year — or higher than the average allowed by the Legislature. But members of full-time Wasatch Front county commissions and large city councils are paid an average of $135,000. The advisory board decided to set the salaries at the same level as the Davis County Commission — even though that county government has a third as many employees and a budget that is less than half of UTA’s.